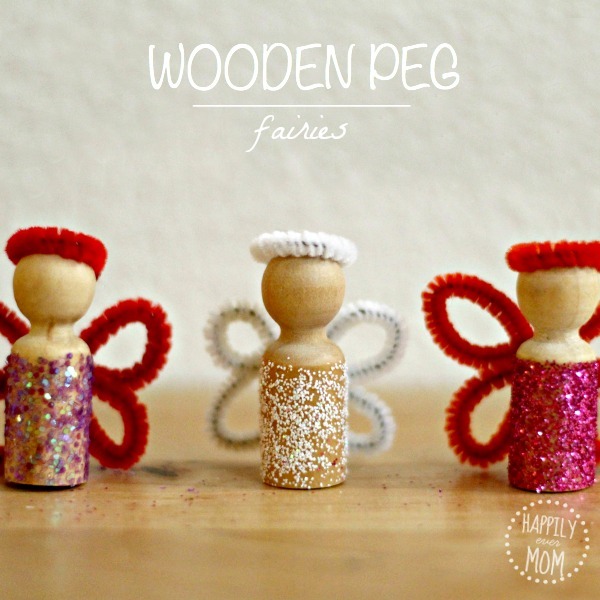 I could just hug our peg fairies. We attached scotch tape around the top portion of the wooden pegs. We brushed on modge podge to the bottom half. Then, the fun part: shaking on the glitter!! 1.) Loop around your finger. 2.) Can you see how a little portion of the loop overlaps? Wrap this little piece around or “tuck” it under the pipe cleaner. 3.) Here’s what it looks like tucked. 5.) 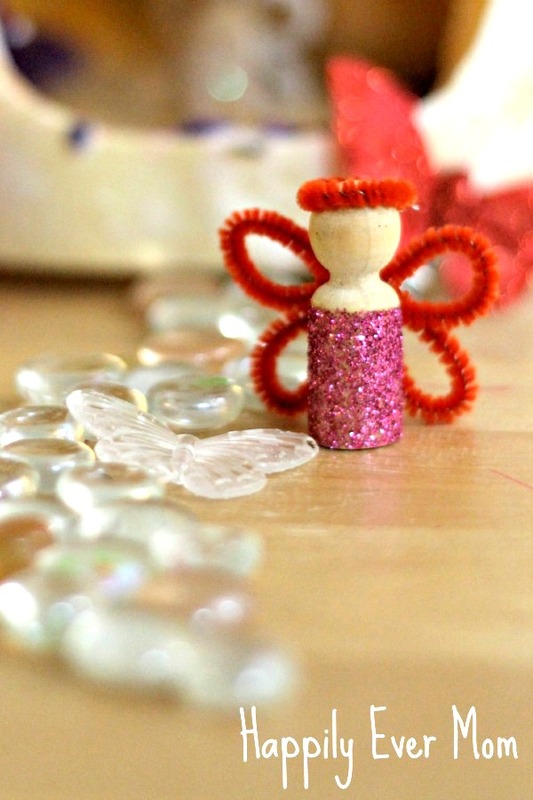 Cut off the remaining portion of pipe cleaner for the halo or headband on the fairy’s heads. Glue the bands on top. I love how small these are, but they could be a choking hazard for little ones in the house, so be careful. Although we refer to them as fairies, these could easily be called angels – especially the white one! Add a piece of string and use them as an ornament on your tree this year. 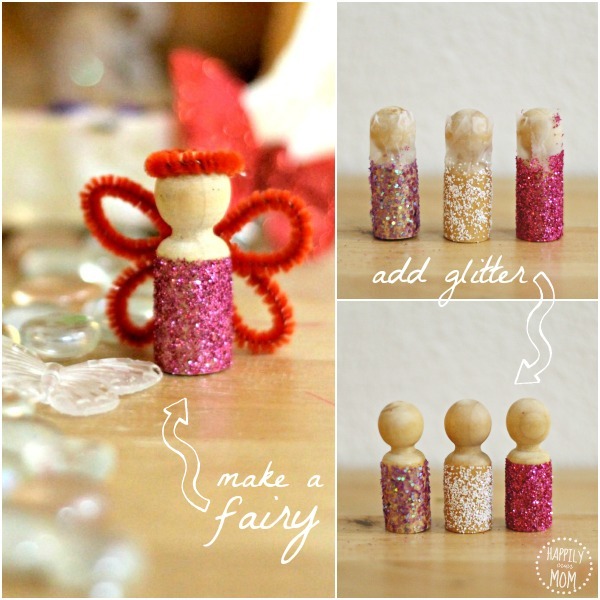 Fun and enjoyable activity that is intriguing for children and not to burdensome for parents. These are so cute! I love the simplicity of them. Thanks for the inspiration! These are adorable. I could see my girls spending a lot of time playing with them!